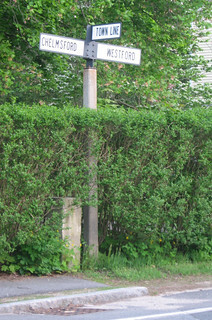 Although I work at the Chelmsford Library, I live in Westford. I pass this sign every day on my way to work, and have grown to really like it. I also kind of think it’s funny that the sidewalk ends right at the sign. I guess people in Westford don’t need sidewalks.